Beautiful two level home with walk out finished lower level. 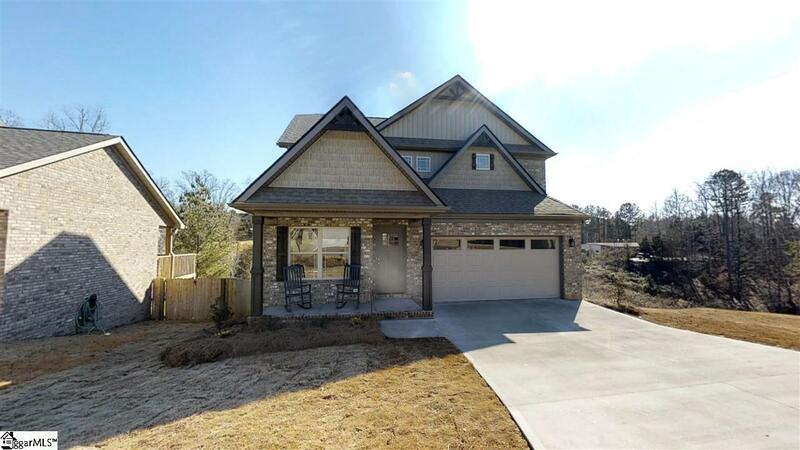 Over 2800 heated sqft in this 3 bedroom 3.5 bath home. Main level features open concept of living! Great-room flows into kitchen dining area. Office/4th bedroom and full bath on main level. Kitchen has plenty of custom cabinets, beautiful granite, subway back-splash, stainless steel appliances and granite center island adds additional seating. Deck over look waterfront backyard!! Beautiful place to enjoy a cup off java or glass of wine! Upper level offers two secondary bedrooms and master suite. Master bath includes walk-in tile shower, separate garden tub, linen storage, duel sinks w granite counter-tops, & walk-in closet. Lower level of home is a great place to have a game room, media room.great-room!! Full bath, storage room and patio. Could also be a nice place for returning family members! Nice Nice Community with pool, golf, restaurant. With 15 miles of Greenville, 90 minutes to Asheville!